Unleash your senses in this flip-flap riot. Yucky science full of facts and giggles! (It even helps you with the school curriculum too.) 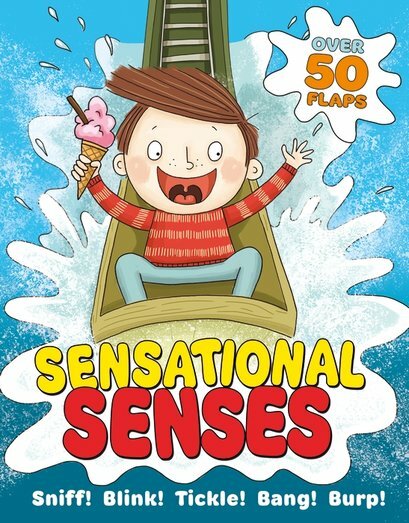 Do you like your science with ice cream cones, log flume rides and rollercoaster loops? Then head off to a theme park where you’ll find out how your senses work. Flip-flap fun from a cool series which actually did a whole book about poo – In One End and Out the Other. And TEACHERS actually gave it an award! They thought it was awesome! So even if science usually makes you yawn – we promise this book won’t!